In June 2007, Tammy graduated from the American and European Massage Clinic located in Raleigh, NC where she studied with Vladimir Bogatov, MD. Before joining the Hands On Health team, Tammy obtained a BS in education with an emphasis in sports medicine from Old Dominion University in Norfolk, Va. She then went on to practice as a certified athletic trainer in a physical therapy clinic for seven years. 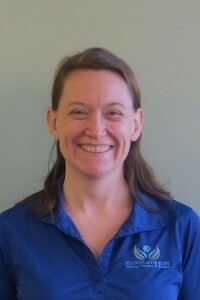 She is very passionate about helping those with neck/shoulder strains, headaches caused by TMJD, plantar fasciitis, and medial/lateral epicondylitis of the elbow. 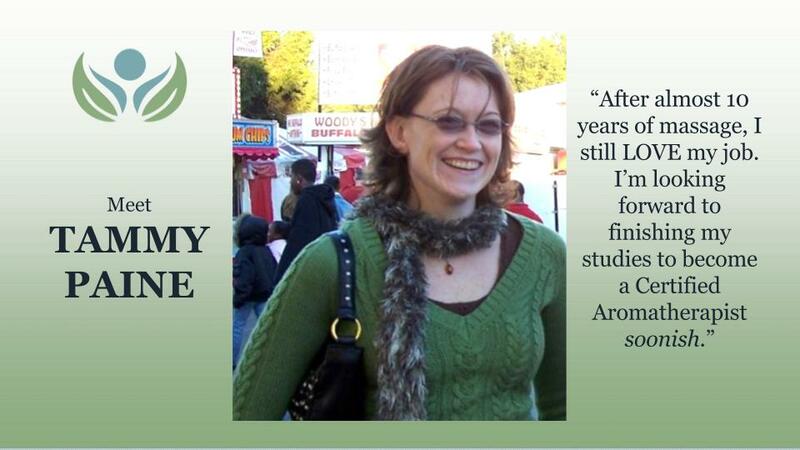 Learn more about Tammy Paine. Numerous Athletic Training education credits studying knee/ankle therapy and elbow/shoulder therapy. The Hands On Health team has been taking care of me for many years. I suffer from Fibromyalgia, a seizure disorder, and PTSD and have many days when my body is fighting against itself. Lots of days are filled with pain, exhaustion, ‘fog brain’, panic attacks…I could go on. The staff at Hands On Health, including Tammy Paine, help make my quality of life much better. Each session I receive is a unique experience as my needs change. From the moment I walk in the door of the Cary office (a thirty minute drive from my home in Sanford) I am greeted with a warm smile and a friendly word from the office staff … a perfect start to my time in the office. The first time I received a massage from Tammy Paine, I knew I was literally in good hands. I, at the time, saw another therapist at Hands On Health on a regular schedule of every three weeks. This time was an additional session geared toward my preparation for singing in a forty-five minute show three times over a two day period along with hours of practice leading up to the performance times. She got straight to work opening my diaphragm and throat for optimum performance. A few months later, my regular therapist moved on with other areas of her life leaving me in the most capable hands of Tammy Paine. She is great at really hearing my answers when she asks ‘What are we working on today?” or, “How are you feeling?” She understands very well the connection of your body, mind and spirit and continues to unite the three with each session. Sometimes I just tell her to ‘do what you feel’, I am never disappointed. Her touch is just what my muscles need when in fibro flare-up. She is able to read my body and goes straight to work just melting away pain and tightness. Being a Massage Therapist myself since 1991, I can be a little more critical than most folks when receiving bodywork. I can honestly say that I have always been impressed with the staff at Hands On Health. They work well as a team and are constantly working to improve my experience each time I come. I look forward to many more years of happy, healthy days with Hands On Health as part of my total health plan. Thanks Tammy and team! I have seen Tammy on and off for these last three years. I could not lift my right arm when I first came to her and today I have NO problem at all in that shoulder. She has also worked on my left shoulder with similar results. Tammy has also massaged my back, neck, tennis elbow, everything with great results. Before starting a new massage session and in order to get an idea if her treatments have gained results, Tammy always asks to my situation, my symptoms, and how I have been doing since the last session. She is always very nice and respectful and she is just an extraordinary good therapist. Without her massage, I am sure I would not be doing as well as I do, given my age and all my sports activities. She seems to know exactly where to massage, where to stretch, where to put pressure etc to make her treatment work. Very skillful!I also appreciate that Tammy is never late to start the session and that she works in silence. I have recommended her to several friends. – C.K. One of the most patient therapists I have ever known. God used her to rehabilitate me after Lyme. 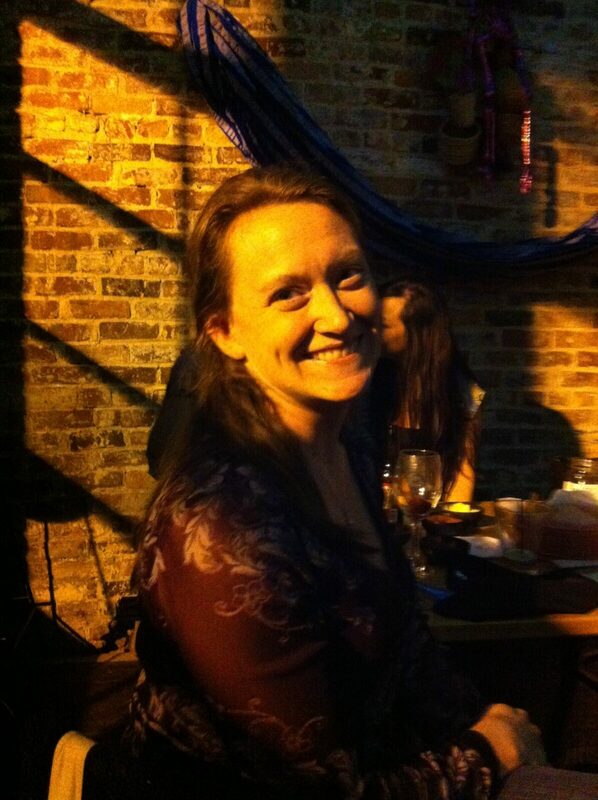 She is an amazing massage therapist – but call about 1 month in advance to get in!